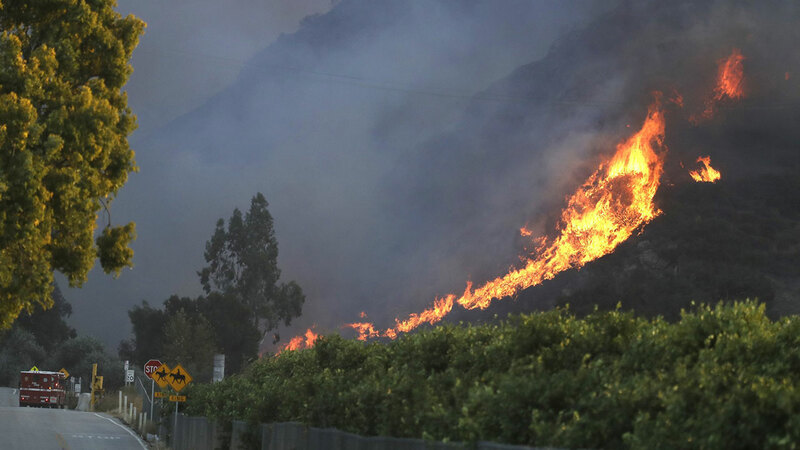 MALIBU, Calif. (AP) -- The entire city of Malibu was ordered evacuated early Friday as a ferocious Southern California's wildfire roared toward the beachside community that is home for many Hollywood celebrities. The Los Angeles County Fire Department tweeted that the fire raging through the Santa Monica Mountains was headed to the ocean. Malibu has about 13,000 residents and lies along 21 miles (34 kilometers) of the coast at the southern foot of the mountain range.